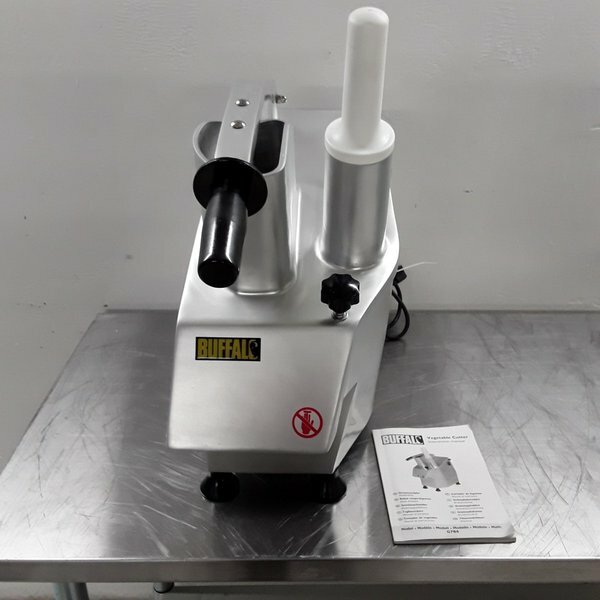 Ex Demo Buffalo G784 Veg Prep Machine. 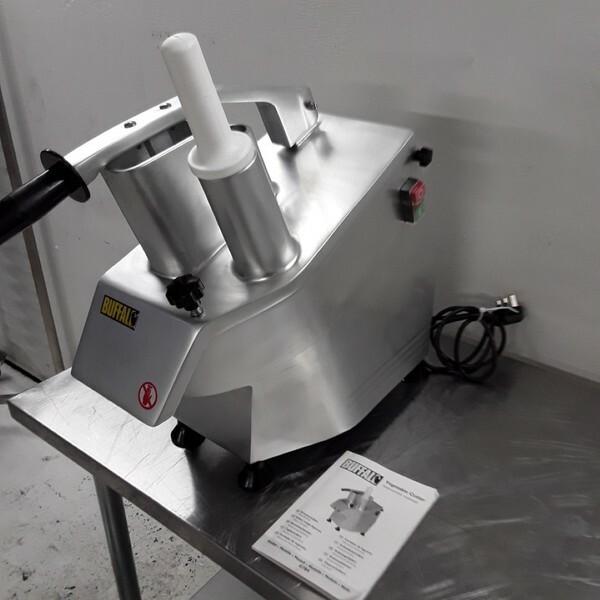 Quickly and effortlessly slice, dice, grate and chip a huge variety of ingredients with the high performance, high capacity Buffalo multi-function continuous vegetable prep machine. Able to prep up to 300kg of food every hour, the machine is ideal for preparing large batches of foods in schools, staff canteens, restaurants or residential care homes. The two separate feed chutes accommodate a wide variety of foods, such as cucumbers, carrots, potato and much more. Safe, powerful and immensely versatile. 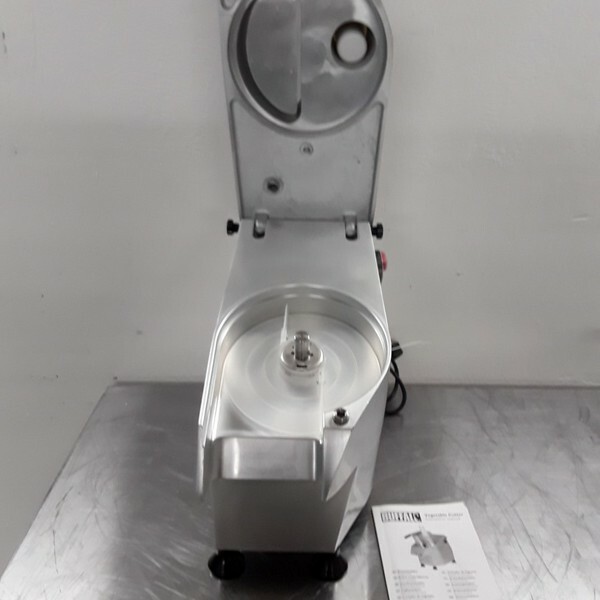 Please note: blades/discs sold separately.